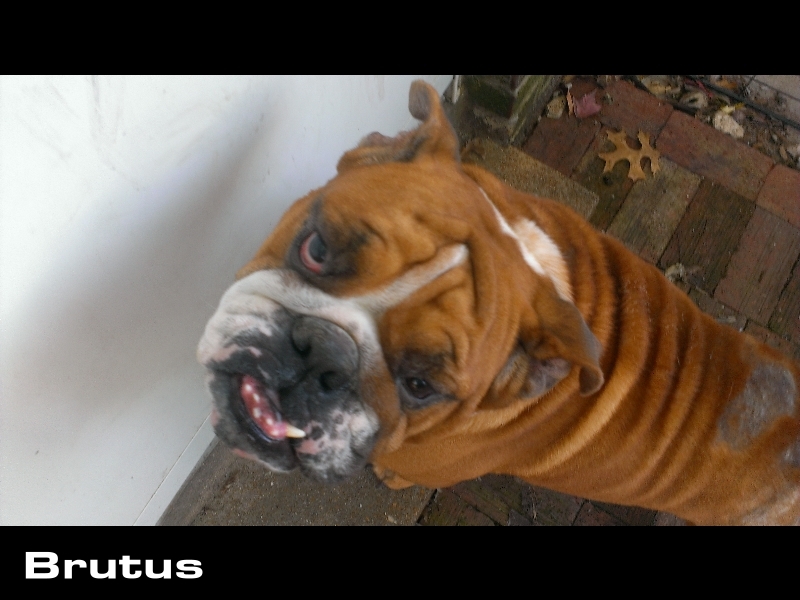 Brutus came from a Meth House in Jefferson County. He had been neglected and had not had needed vet care. 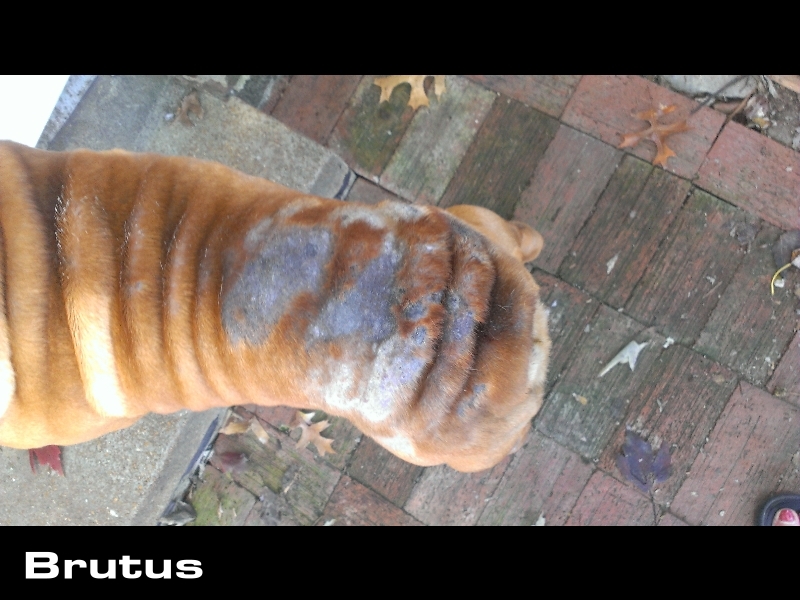 He is currently in a great foster home who is working to clear up his skin and treat his dry eye. 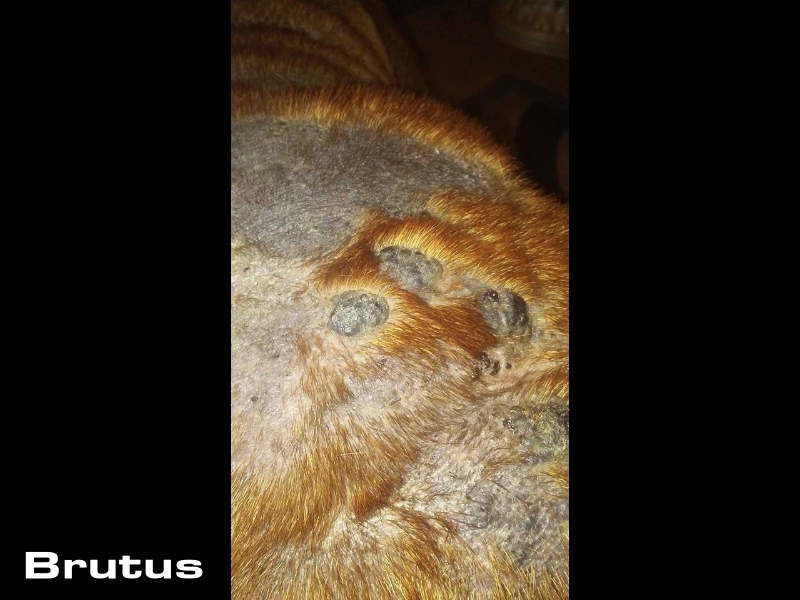 His ears are calcified from chronic infections. 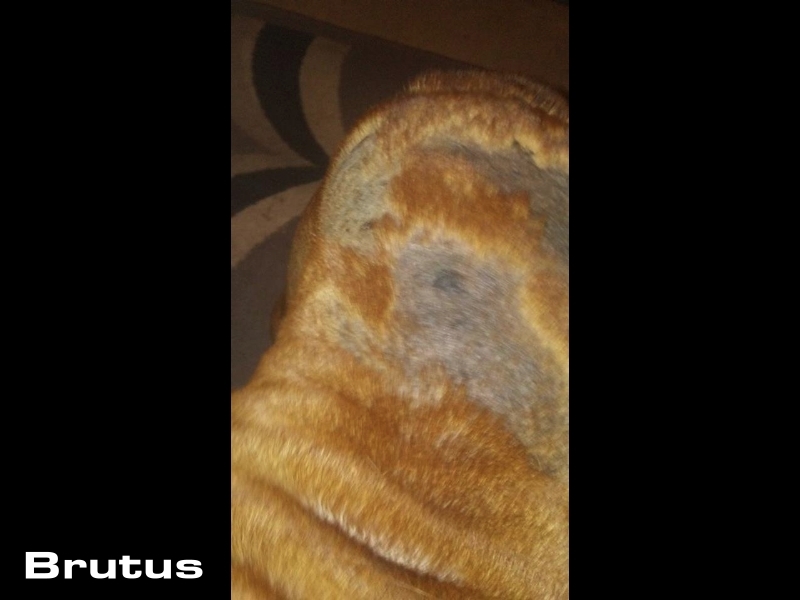 None of this has dampened Brutus' happy personality!